Talk to your real customers, not your imaginary ones. The SyncPad story. 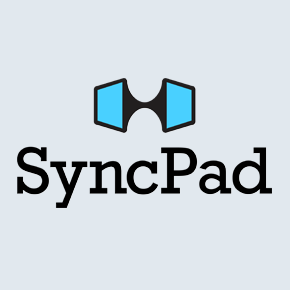 SyncPad is an iOS app that helps people collaborate in real-time. You can think of it as a virtual whiteboard that helps people focus. When Davide Di Cillo (the founder of SyncPad) was building SyncPad, he had envisioned the target market of his app to be creative studios. He foresaw advertising agencies, graphic design shops, and freelancers clamoring to use SyncPad so they could easily collaborate with clients remotely. Davide jumped into action and immediately began to retool parts of SyncPad to better fit with how his actual customers were using his app (for example: They quickly integrated multi-page PDF support). Business started to flourish for Davide and SyncPad is now in talks with some major corporations that would like to buy several thousand seats for it. All of this happened because Davide talked to his real customers, and didn’t get hung up on his imaginary ones. We are giving away 5 copies of the iPhone and iPad versions. If you would like a chance to win a copy, leave a comment and tweet out a link to this article. An easy way to do this is by hitting the “Like” button in the comments and it will ask you if you want to share the article via Twitter. SyncPad for iPad is available for $9.99 on the App Store or $4.99 for the iPhone version. For up to the minute startup news, follow us on twitter @startupfoundry. Next Next post: Angry Bird’s “overnight success” only took 8 years.